When people talk about great hypnotists of the 20th century, two names come to mind. Milton Erickson…and Dave Elman. 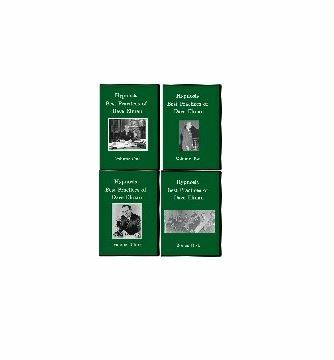 This is surprising because Erickson published dozens of books and papers on hypnosis and was actively promoted by his followers who wrote dozens of books about Erickson, but Elman published only one book, Findings in Hypnosis (later published as Hypnotherapy). Why is Dave Elman held in such high esteem? His techniques are that good! Dave Elman (1900-1967) was born David Kopelman in Park River , ND in May 1900, and grew up in Fargo , ND . He died in 1967. It was in this period that he began using the name Dave Elman because the extra three letters of Kopelman prevented getting better billing on theater marquees. In this period, he also was billed as “The World’s Youngest and Fastest Hypnotist” because his research in hypnosis after his father’s death had led him to discover means of hypnotizing subjects in mere seconds. This was an important discovery in the fast-paced world of the vaudeville circuit where slow acts bored audiences, and hypnotists were fired for that. It was several decades later that Dave realized that this speed of hypnotic induction also made hypnosis useful in medicine. In the 1920s, Dave worked as a songwriter for W. C. Handy while still also playing as a jazz musician. This led him into radio, his primary career from the mid-1920s into the early 1950s. In 1937, he created the program “Hobby Lobby” which was carried coast-to-coast for over a decade—an unusual achievement for that era. He also created “War Bond Auction,” a program which generated very large amounts of money for the war effort. He received many awards for this from the Government. Have you ever worked with a client who suffers with chronic pain? These lost techniques will give you the ability to relieve discomfort almost immediately from clients who have been unable to manage their pain using medication. Learn how Dave Elman was enormously successful inrelieving migraine headaches using age regression and superficial suggestion techniques. Unfortunately, the hypnotic seal is coming back into hypnosis again. This is a means by which the hypnotist ensures that the subject can not be hypnotized by another hypnotist. It is unethical and unwise, not to mention unfair to the subject, but there are some hypnotists out there who are employing the seal. The good news is that the seal is no match for a hypnotist who knows the Dave Elman technique for breaking ANY seal. This technique, as well as another highly effective technique, are both taught in the Best Practices product. The Esdaile State , otherwise known as the“hypnotic coma,” was taught by Dave Elman so that his students could relieve pain, even cancer pain, in thousands of patients. It is an extremely deep hypnotic state that can be useful in many advanced techniques. Dave Elman was the first hypnotist to achieve the hypnotic coma by design during a class in Baltimore in 1952. Before that, the hypnotic coma was an oddity that occurred spontaneously in one out of ten thousand cases. You will learn how to achieve this state “by design” using Dave Elman’s technique. Some hypnotists have difficulty achieving deep trance in their subjects. In this DVD set you will learn the simple yet elegant deepeningtechniques used by Dave Elman to achieve wonderfully deep trance states necessary for effective hypnoanalysis and hypnotherapy. When you see them you will wonder how they can be so effective… yet they are, and you will learn why they work so well. Children can make such profound and rapid change in hypnotherapy, and this DVD set will show youhow to effectively hypnotize children.Sometimes the parent can be more difficult to deal with than the child, and you will learn how to work around this obstacle when it occurs. Have you ever wondered if it is possible to hypnotize a “bratty” child? Well, it is, and you will learn how here. 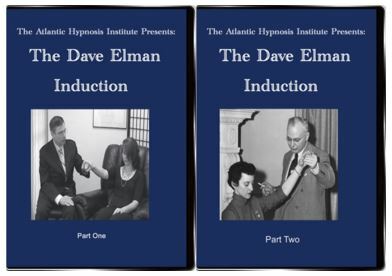 The Dave Elman Induction is recognized world wide as one of the most effective hypnotic inductions ever developed. Some say it is the most effective induction. 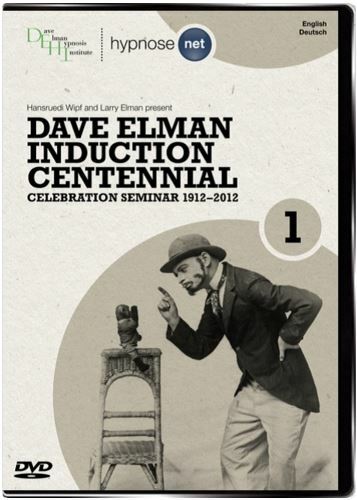 But did you know that the Dave Elman Induction started out much differently than how it is usually done now? During a rare moment during the class, Dave Elman’s son Colonel Larry Elman demonstrates the now famous induction in its original form, and this demonstration was caught on video tape! The original form of the induction has not been seen in decades, but now you can see it and hear the reasoning behind the steps. You will see history come alive! What if you could learn the revolutionary, ground-breaking techniques of legendary hypnotist Dave Elman? Could this knowledge turn around your practice? What if you could take advantage of learning from Dave Elman’s sole surviving son who had taken his dad’s course three times? What would this mean to your hypnosis practice to be able to expertly perform these techniques that produce profound change in clients? We teamed with Hollywood film maker Dale Garner on this project. Dale Garner has more hypnosis experience than any other film maker in the world since he is also a certified hypnotist with the National Guild of Hypnotists! Because of this, Garner knows exactly what shots to catch, what is important to the hypnosis student, and his productions are the best in the business. 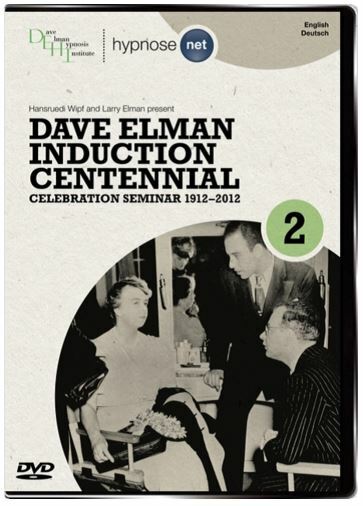 This ground-breaking 4-DVD set of the Dave Elman Best practices sells for $179.95. The price WILL go up soon, so order your copy of this ground-breaking 4-DVD set NOW!